In Berridale, New South Wales, in the north-west foothills of the Australian Alps, there are hardly any trees left now. 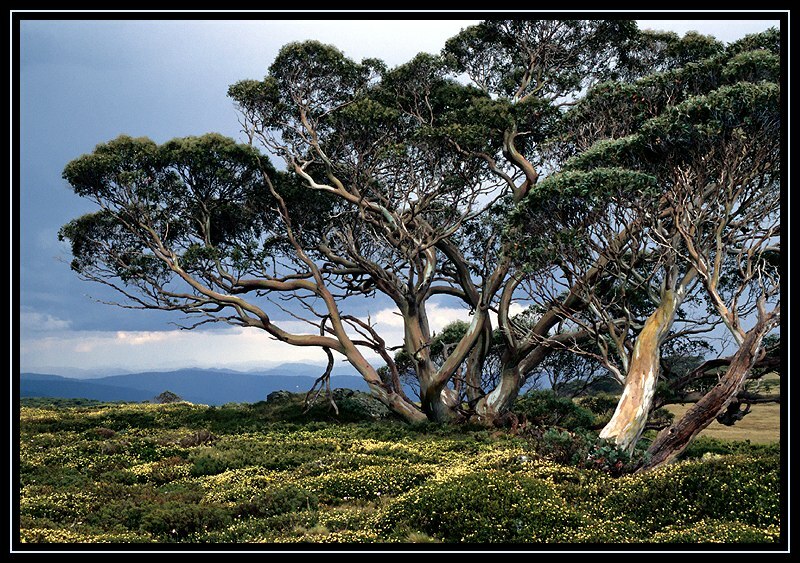 Generations of colonists have clearfelled forests of Australian Snow Gums en mass for ‘high country’ beef pasture. Each Autumn when the bored local Rural Fire Service (RFS) is searching for something to justify its funding, it sets fire to the natural landscape on the basis of doing so being a bushfire ‘mitigation strategy‘. ‘Burn the forest before it burns’. Last month the Berridale RFS burned grasslands and the few surviving isolated old snow gums, and even the odd homestead by accident. ‘Berridale is a small country town in the famed Snowy Mountains ‘high country‘ of Australia, just a short trip from Australia’s highest peaks (Australian Alps) – about 60km from Mount Kosciuszko. Vast grassy slopes and pastoral plains surround Berridale these days, all cleared by our forebears. Yet one can still find traces of the old country, dotted by ancient magnificent granite boulders holding old fella wisdom of the original people of this land. It was for eons blanketed by wild twisted Snow Gum forests and grand and rugged rivers coursed through this area giving vital sustenance to the diverse species of this place. Traditional Aboriginal people hold insight to the links between plants, animals and their surroundings. The Northern Corroboree Frog and Lesueur’s Tree Frog are long gone away from long-clearfelled Berridale. Over recent weeks the Rural Fire Service across New South Wales has lit multiple fires it euphemistically labels as ‘hazard reduction‘ – any rich ground cover that may provide habitat foir groudn dwelling mammals is deemed a fuel and therefore a hazard. It must be therefore burned before it burns. The fires the RFS light are ‘prescribed burns‘, they precribe that a bushfire must be started so they start one. It is like an arsonist deciding it is a good idea to light a bushfire and so lights one, like Brendan Sokaluk did at Churchill in Victoria on 7th Febuary 2009. The only difference is that because the RFS is a government funded agency it has legal immunity – read ‘impunity‘. Included was a scub fire in Budderoo National Park, near Kiama, burning out of control. It was one of those prescribed burns that had escaped. So the reports read that crews from the NSWRFS and National Parks and Wildlife Service were using waterbombing aircraft to contain the fire, which was burning in inaccessible terrain, as if it was a wildfire that had started by lightning, not deliberately. It is almost like they light fires to create work for themselves, and destroy vast areas of bushland in the process. So then the RFS declares a Total Fire Ban across most of New South Wales, so that residents don’t their barbeques in case they start a bushfire. The hazard reduction burn at Berridale, burned out 200 hectares of largely grassly scrubland, taking with it old snow gums that must have been a few hundred years old in come cases. 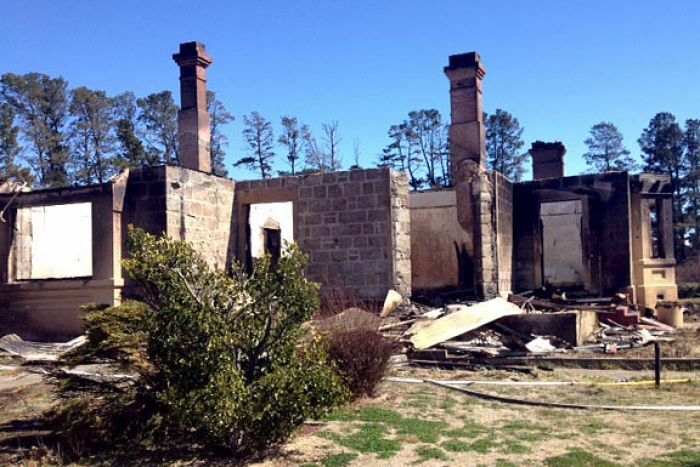 A historic homestead was destroyed in the blaze. It was a lucky escape for Brian Woodhouse’s elderly mother, who was in the Myack homestead as the fire approached. “She’s 86 years old and suffers dementia,” Mr Woodhouse said. Mr Woodhouse said passers-by saved his mother’s life. The homestead destroyed by fire about one kilometre east of Berridale in the Snowy Mountains. This immorality of setting fires seems extracted straight out of Robert McNamara’s military operating and debrief manual. “We had to destroy the village in order to save it” is an infamous quote by US Army Major Booris in 1968 in the immediate aftermath of the Tet Offensive by North Vietnam forces. It has come to symbolise the absurdity of war and the United States immoral prosecution of the Vietnam War. The quote was made famous by its reporting by a young Associated Press reporter, Peter Arnettwho had been assigned to report on the battle of Ben Tre during the Tet Offensive. For two days, a small American unit had battled the Vietcong, who in turn had killed many villagers. Arnett entered Ben Tre after it had finally been secured and interviewed a number of Army officers. ‘I was the Commanding Officer of Task Force Builder, an Army engineer group of 60 soldiers that was stationed in the small rural village of Rach Kein, Vietnam in 1968. Rach Kein was approximately 20 miles SW of Saigon, located in Long An Province. Our base camp was next to the base camp of the 3/39 Infantry Battalion of the 9th Infantry Division. Ben Tre, Vietnam, is a moderately size town that is located on the Mekong River about 25 miles SE of Rach Kein. It was much bigger than Rach Kein, probably even bigger than the town of Long An. During the first week of the Tet Offensive the VC made their big move of attacking Saigon. The 3/39 Inf. was initially sent to fight in the big battle for Saigon. This left us alone to face an NVA regiment of 5,000 men that surrounded us on January 29. We survived that. And we remained surrounded and cut off for several weeks. As best I recall, the 3/39 Inf. was in Saigon for about two weeks. I certainly remember this, because while they were gone from Rach Kein we were on our own as far as defending against ground attacks. These must have been likely, for at one point, the 9th Inf. Div. sent in several companies of the 2/39 Inf. to bolster the town defenses and to conduct sweeps around Rach Kein while the 3/39 was away. I especially remember that one platoon of infantry was wiped out in a well laid ambush in an open rice paddy. It was just a few hundred yards from where we eventually built a school near the first village North of Rach Kein (can’t remember its name). The VC had cleverly built machinegun bunkers into the rice paddy dikes (it was the dry season), and the infantry walked right up to them before the VC opened fire. Then the 3/39 returned. Or I should say that 75 percent of them returned. The fighting in Saigon had been intense. After only a few days rest, they were air-lifted by chopper to retake the town of Ben Tre. Ben Tre had been occupied by the VC during Tet. The VC had dug in heavily, and were not ready to retreat without a big fight. So the still exhausted and depleted infantry troops of the 3/39 were thrown into another vicious fight. I cannot tell you how much respect that I have for those guys. True heroes, every one of them. Tough, plucky, and mostly draftees. I still remember my wonder at the ability of America’s youth to endure. I sometimes wonder if I am the only one who remembers them. So I willingly tell this story, so you can help me to remember. Their deeds should not be forgotten. The 3/39 Inf. Bn. suffered 100% casualties during the year 1968. I watched it. It is something that still haunts me. Eight hundred young men gone, dying bravely to serve the country they so loved. Anyway, the fighting in Ben Tre went badly for the Americans. House-to-house all the way. The VC were so well dug in and barricaded that progress got stalled. So, in desperation, artillery and air strikes were called in on the town. Much of the town was heavily damaged in the resulting melee, but the town was retaken. Several days later, Major Robert Black (the Rach Kein U.S. Army Advisor) invited me to attend with him an evening briefing that the 3/39 was going to give for a group of journalists and Saigon army brass. I had never before been invited to attend an infantry battalion briefing. I accepted the invitation. The briefing was held in a Vietnamese house that served as the S-3 office. It was about 7 houses East of where the VC barbershop was at one time set up. The house was on the left side of the road as you drove through the infantry compound, just about across from the infantry mess hall. Anyway, the living room of the house was packed, mostly with civilians. The purpose of the briefing was to explain the battle of Ben Tre. Such briefings are usually conducted by the S-3, in this case, Major Booris. He was a heavy-set fellow. He was also not my favorite officer. This was because he was the guy who told the infantry on guard to open fire on us the morning when we were walking back to Rach Kein across the rice paddies. This was when we had chased the VC who had ambushed the infantry Road Runners that one infamous and well-remembered morning (but that is another story). Fortunately for us, the infantry sergeant (an E-5) on duty had ignored the major’s orders. I’ll never forget his grin as he told me that he had saved our bacon by ignoring the S-3’s orders. He could clearly see that we were friendlies, so he withheld his fire. Anyway, at one point the journalists were pressing Major Booris to explain why it had been necessary to wipe out the town. They were definitely pressing the point that perhaps too much force had been applied by the US forces. Major Booris was trying his best to put a good face on the situation. But at one point he got flustered, and blurted out, “We had to destroy Ben Tre in order to save it.” I have to admit that I almost laughed when he said that. It was a really unfortunate comment. But Major Booris, in his defense, was trying his best to defend his battalion’s honor. His CO, Lt. Colonel Anthony P. Deluca, deftly jumped to his feet and interceded to rescue Major Booris from this difficult moment. He smoothly carried the rest of the conversation. I really liked LTC Deluca. He was a good combat leader, and he was always fair to Task Force Builder. Anyway, that was the only briefing of the infantry that I ever attended. But it turned out to be the most famous. Some of the journalists present at that briefing seized Major Booris’ comment, and they really publicized it. As I recall, it appeared on the cover of Newsweek or Time magazine within the month. And it has gone down in history as an example of the some of the insanity that was Vietnam. Remembering.. is it relevant if officially dismissed? Does memory and our forebear’s ‘history‘ offer value to our children’s wisdom and judgment? This entry was posted on Tuesday, September 18th, 2012	and is filed under Australian Alps (AU), Threats from Bushfire, Threats from Deforestation. The RFS has recently conducted 2 ‘hazard reductions’ in the vicinty of Mt Riverview, Blue Mountains NSW. The first was just over two weeks ago, when on an gusty afternoon as a cold front swept through I could see leaping flames in the distance from the highway at Warrimoo, i immediately called home and told them that there must be a large bushfire in the area, as it would be absolutely insane to be doing a hazard reduction in the present conditions…. only to find out that the RFS has persisted with a planned burn regardless of the conditions only 1 or 2 kilometres from a residential area. I had lost all faith after this. But then…… a couple of days ago I parked my car behijd the shops at Mt Riverview to go on my favourite running trail into the bush, only to find that the RFS had been there, in a stretch of bush that already has a sealed road between the houses and the bush, and also a 30metre APZ which is cleared of all scrub with only several trees left standing, the RFS had decided it was neccesary to burn from the APZ boundary all the way to the escarpment a further 60 m into the bush. Much to my horror, this is the exact area where I have released 2 Eastern Bearded Dragons which I have rescued from the road in the previous week, unfortunately there were several others that apparently werent seen or were ignored by motorists that have been run over. There are many places in Mt Riverview where thick bush comes right up to the fences but the RFS burnt an area which poses no hazard at all to property. I figure they must have used it for a training exercise, there would be no other reason. RFS = something for bored men who like fire to do on the weekends. Instead, go and volunteer for an organisation which is actually trying to solve issues. You may think you are making a difference to peoples lives, but you are having a massive and detrimental impact on the lives of our native wildlife. RFS, go and get an education. 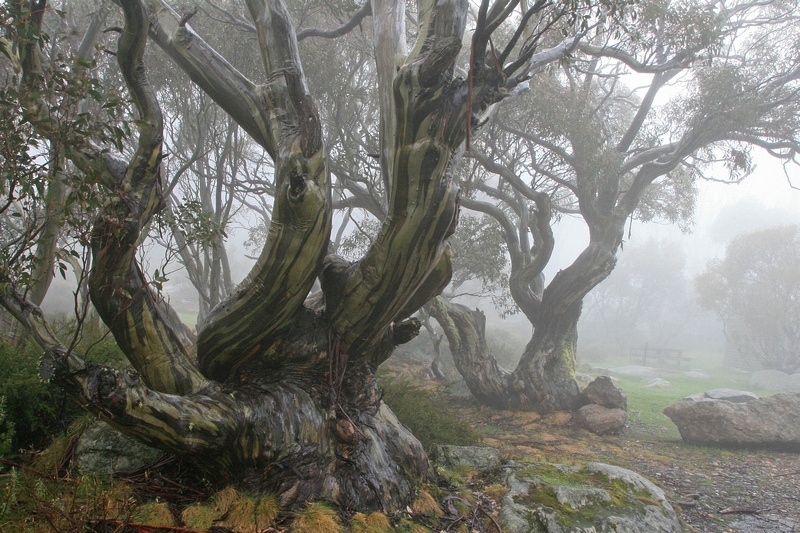 I am both horrified by this account of the RFS’s destruction of the remnant snow gums and full of admiration for the author and his attempts at saving some of the gums. Clearly he, like Mal Dibden in Deborah Bird Rose’s book, ”Reports from a Wild Country – Ethics for Decolonization”, chapter 11, is connected with the natural world, while the RFS’s action shows that its members, with the exception of few, do not see themselves as being in any way connected with it. Further, the callousness with which the RFS justifies the ecological damage caused by its actions demonstrates that it either suppresses or has no ethics (see Rose above cited, p7). The same lack of ethics applies to Major Booris for his justification of the destruction of Ben Tre and, of course, to all the authorities responsible for the destruction of the natural environment all over Australia. In 2015 we were forced to suspend hosting of this website due to excessive hosting costs. We backed up the content as a time capsule. 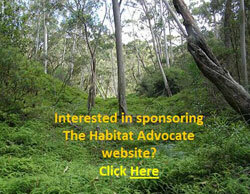 Fortunately, at the start of 2017 we sourced a more affordable Australian host and now hope to continue to grow our cause and voice for native habitat. All content has been regenerated. Thank you for your patience and loyalty. 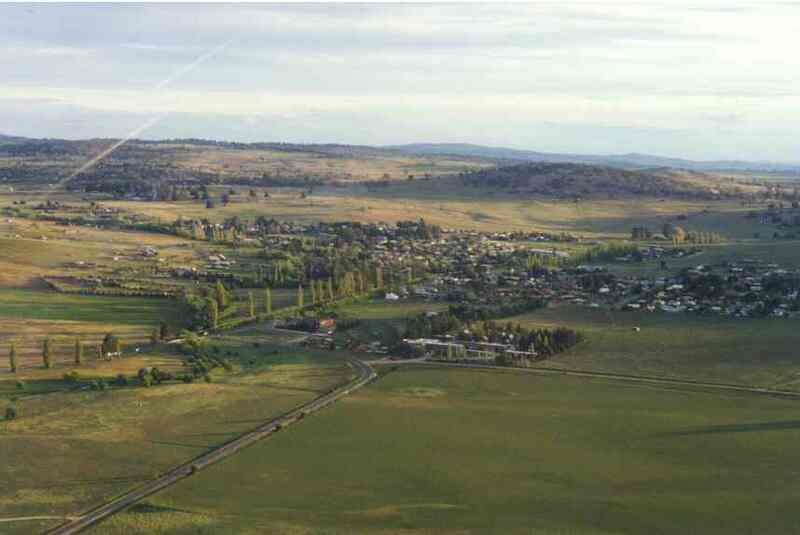 Raptor & Wildlife Refuge of Tasmania Inc.
Tasmanians Against the Pulp Mill Inc.